Is this not totally adorable? We're in bed with Charlotte and Cooper during this scene from Private Practice. 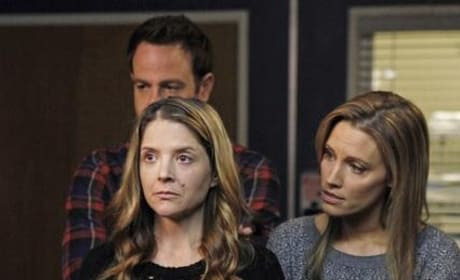 Cooper dips his wife in this special Private Practice photo. It's from the episode "Georgia On My Mind." 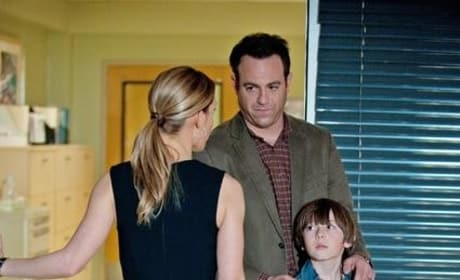 Charlotte and Cooper in a cute photo from Private Practice. Sam, Coop and Charlotte gather around here on the episode "Aftershock." It's a scene from the season six premiere. 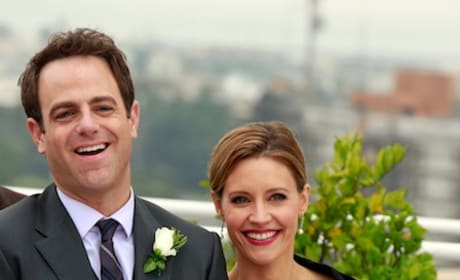 Coop and Charlotte have been through so much on Private Practice. 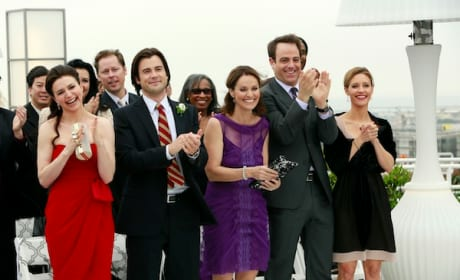 This is a photo from the sixth season premiere. Are you okay, mommy? 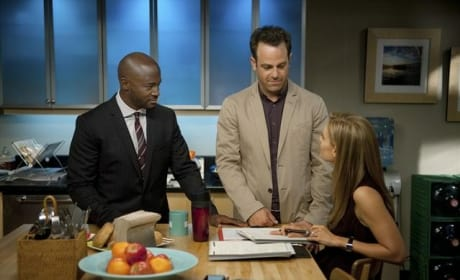 Our hears are breaking just taking a gander at this Private Practice scene, courtesy of the episode "The Letting Go." 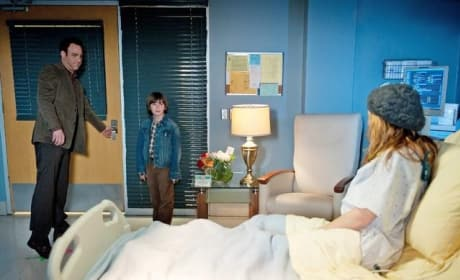 Coop bring Mason in to see his mother in this shot from Private Practice. But Charlotte has bad news for them both. Welcome to Seattle Grace, Erica. Can you blame the young woman for looking so terrified? Will Cooper have a happy ending with his son? Unfortunately, we're skeptical.